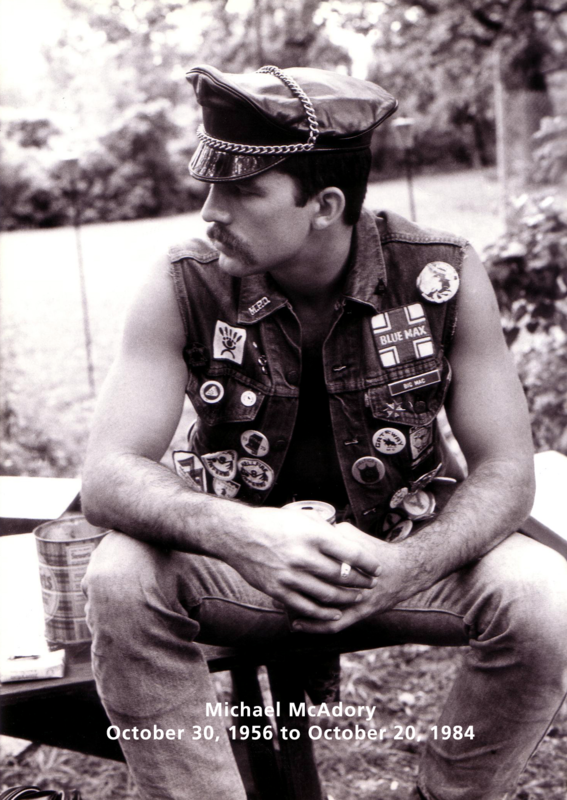 The McAdory Fund was created almost 30 years ago by the Chicago Hellfire Club in the memory of Michael McAdory to provide financial support to members of the leather community whose health left them unable to pay rent, medical bills, and other necessities. Over the year’s leathermen and women who were able to use McAdory grants as a springboard to get past a major hurdle in their lives. Since its inception the fund has provided over $190,000 in grants. The principle of the McAdory Fund – We provide a hand up, not a handout. No one is entitled to a grant, but any Club member can nominate for assistance himself or any other member of the leather community in need. The McAdory Committee is supported by the members and leadership of the Chicago Hellfire Club but operates independently of the Club. All requests for assistance and decisions on grants are kept strictly confidential with the McAdory committee. If you are a CHC Member in good standing, you may request a grant application from the McAdory Committee at McAdory@Hellfire13.net. If you are not, please be sure a referral email is sent to the McAdory Committee by a CHC member in good standing. If you do not have a sponsor please notify the committee, and an attempt will be made to connect you with a potential sponsor. Again, the McAdory Committee is reachable via McAdory@Hellfire13.net.